Holiday house 309616 The SpaceStunning Chalet style Apartment Loft with skylight windows in all rooms!! Very special place!BLISS with BALCONY LOFT HAS:-2 large bedrooms with SKYLIGHT WINDOWS! Holiday apartment 309619 An apartment that has everything you need for a relaxing holiday.In the district of Zizkov, few minutes from Wenceslas Square.Comfortable and practical.On 3rd floor, building with elevator. Divided into kitchen, bedroom and bathroom / WC. Holiday apartment 309605 The comfortable apartment situated in popular district VINOHRADY close to HISTORICAL MONUMENTS. Direct and quick connection to OLD TOWN SQUARE(8min by subway). SUBWAY STATION FLORA is just 2min by walk. SHOPPING MALL FLORA just 2min away. 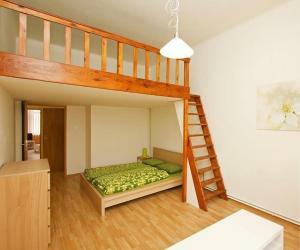 Holiday apartment 309622 In the district of Vinohrady in Prague. Completely furnished for a pleasant stay (including Wi-Fi). It is located nearby the Wenceslas square and it is perfectly connected by public transportation. Holiday apartment 309586 The flat is localited in unusual ,peace and wonderfull district.The name is Vinohrady,and before was recolted the wine.The flat is only 5mn from metro JIRIHO Z PODEBRAD (green line) and trams stop. (tram number 11,13). Holiday apartment 309615 Bright, quiet, high-quality, renovated 2-room apartment in a central location for 2-3 people. The apartment is on the 4th Floor of a renovated historical building, only 2 Metro stops from the Wenceslas Square in the Zizkov district / Vinohrady. 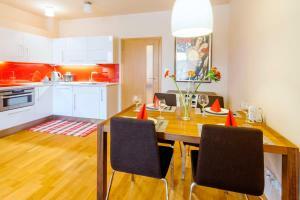 Budget Rehorova Apartment price per day from €52 Budget Rehorova Apartments offers pet-friendly accommodation in Prague. A toaster and refrigerator are also provided, as well as a kettle. Poděbrady is 48 km from Budget Rehorova Apartments. 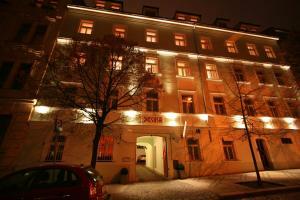 The nearest airport is Vaclav Havel Prague Airport, 13 km from the property. Vlkova Palace price per day from €69 Just 800 metres from Prague's Wenceslas Square, the Vlkova Palace residence offers bright, colourful apartments with a well equipped kitchen, dining area, satellite TV and large bathroom. Sheets, towels, toiletries and a coffee machine for espresso, cappuccino and tea are provided among other amenities. Vlkova Palace is within easy walking distance to Namesti Republiky (Republic Square). There are numerous restaurants and bars in the vicinity. 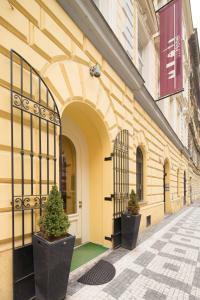 City Partner Hotel Gloria price per day from €23 Located in Prague's Zizkov district, City Partner Hotel Gloria is a charming retreat amidst the quiet streets at the foot of the green Vitkov Hill, 1 km from the city centre. 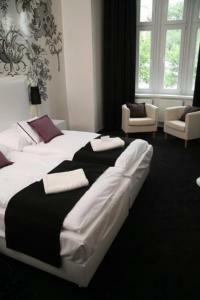 All tastefully furnished rooms of the Gloria hotel provide bathrooms with a bath tub or a shower. The bus stop to the Old Town Square, reachable in a 12-minute ride, is directly in front of the hotel. The next tram stop is 300 metres away, and Wenceslas Square is a 10-minute ride away from there. My Hotel Apollon price per day from €22 The renovated, stylish My Hotel Apollon in Prague's Zizkov district is a 15-minute tram ride from the centre. It offers air-conditioned rooms with free W-Fi and plasma TVs. The rooms are spacious and some of them even feature a balcony. A rich buffet breakfast is available in the morning. Close-by there is the green Vitkov Hill, which is one of Prague's largest parks. The Vozovna Zizkov stop for day and night trams is located right opposite the My Hotel Apollon. City Partner Hotel Victoria price per day from €22 Set in Prague's residential Zizkov district, City Partner Hotel Victoria is a 15-minute walk from Wenceslas Square and 10 minutes by tram from Hlavní Nádraží Main Train Station. All en-suite rooms of the Victoria are non smoking and provide satellite TV, a safe and wireless internet access at additional cost. 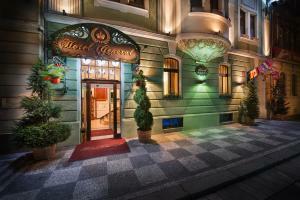 Guests can relax in the Hotel Victoria’s restaurant Kuře v Hodinkách, where music is played in the evening. 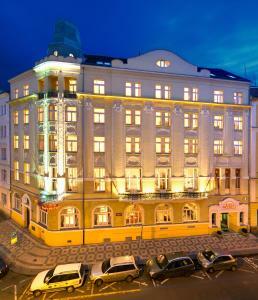 Hotel Seifert price per day from €18 Hotel Seifert is quietly located close to the green Vitkov Hill. The Seifert hotel offers comfortably equipped and modernly furnished rooms featuring free tea and coffee making facilities and free wired internet access. The reception desk is available 24 hours a day and offers drinks, excursions, bike rental and other services. An internet point is available for free in the lobby. Guests of the Seifert hotel can enjoy a breakfast buffet with an ample choice of cooked dishes as well as cereals, rolls and sweet Czech specialities. Theatrino Hotel price per day from €24 Hotel Theatrino with free Wi-Fi and a spa is situated in the quarter of Zizkov in central Prague, with its many fashionable restaurants, bars and the TV tower with an observation deck 93 metres high. Modern design combined with Prague’s unique Art Nouveau style gives the listed building its special artistic flair. Each guest room in the Theatrino is individually and very tastefully designed. Theatrino Hotel is only 3 stops by tram or a 20-minute walk from the historical city centre.